For a writer, it pays to be curious, but that curiosity can be costly. I like to think acquiring plants is on a higher plane than buying, say, shoes. Don't get me wrong. I love shoes for the same reason most women do--my feet have only grown half a size over the years. And if your feet aren't happy, the rest of you isn't either. Which is the limit of what I've learned from my shoes. Plants, however, have taught me a couple of books worth. Over the years, I've written about fragrant plants, plants that thrive in shade, options for partial sun, soil amendments for specific plants, and more than I'll ever remember. Each feature came with a price tag for a new batch of growing acquisitions, resulting in a garden filled with plants chosen out of curiosity. 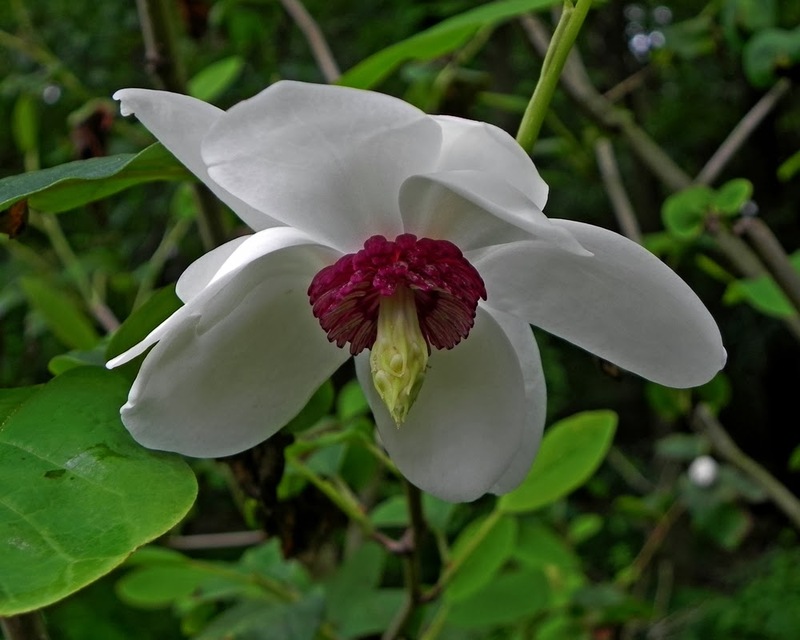 When I wrote a story about Magnolias, I found myself in search of the Oyama magnolia, or Magnolia seiboldii, a variety said to be both fragrant and hardy, and that would bloom late enough in the season to avoid frost. I found one, planted it where I thought it would thrive, and learned that it wasn't big on heat. I moved it into the woods where it grew into a spreading bush for several years until it finally bloomed in 2012. Magnolia seiboldii turned out to be somewhat of a diva, requiring work and time before it performed to its beautiful potential. But still, it took less time than it would for a gorgeous but outdated pair of shoes to come back in style. And then there are the plants that I'd read I couldn't grow--Kniphofia, lavender, the finicky Franklinia and the troublesome Hydrangea macrophylla. There is no one waiting in my driveway to see if I'm successful. I'm proving any accomplishments only to myself, and as a writer, offering up hopefully helpful insights. 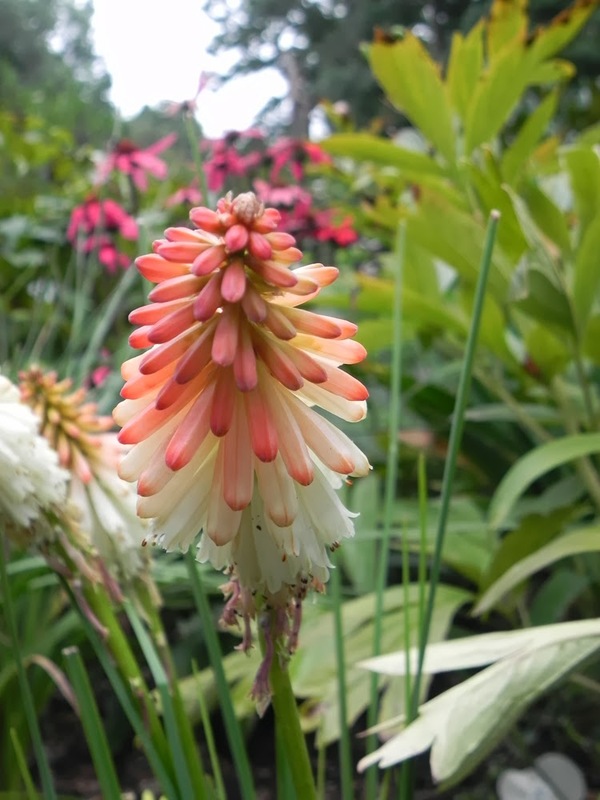 On Kniphofia: It seems that the year after they grow large enough to bloom, they begin to increase to the point where they're in need of division. 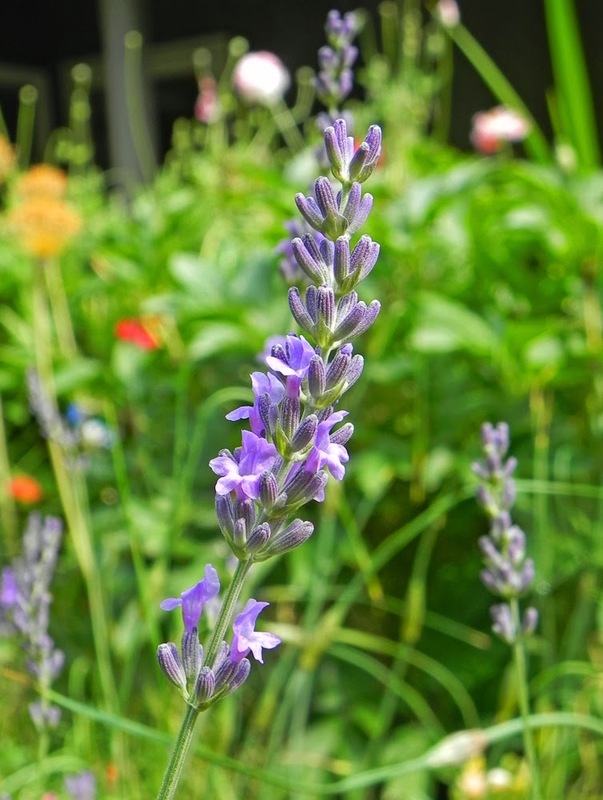 I can keep some varieties alive, but most aren't reliable bloomers, and they take up too much space to be acceptable in my limited garden space. The exception to that rule, so far, are Terra Nova's Popsicle Series. All of the three varieties in my seriously-raised bed have bloomed practically non-stop since I planted them in August, 2012. I realize they've only survived one winter so far, so the jury is, as they say, still out. But I don't recall ever having had such high hopes and anticipation for a pair of shoes. My goal in growing lavender isn't necessarily to have masses of it flagrantly exuding fragrance on a rare day of Mediterranean-style weather. My goal is to have a plant or two or three just to see what they do. And if they thrive to the point that I'm able to harvest half an armload, I consider it a success. The biggest success I've had so far has been with a hybrid variety called 'Super', which I planted in 2008 and pitched in 2013. Lavender becomes woody with age, and if you don't prune it properly, will lose its vigor, although a five-year run is much better than I'd expected. Just one plant of Lavandula x intermedia 'Super' gave me the biggest bunches from 2009 through 2011, but continued to provide substantial amounts in 2012. I buy good shoes, so they typically last several years if I don't wear them a lot. But I can't recall a time when a pair of shoes in my closet came up with a fresh pair of shoes each year. If I had as many pairs of shoes as I do plants, they'd be calling me Imelda. 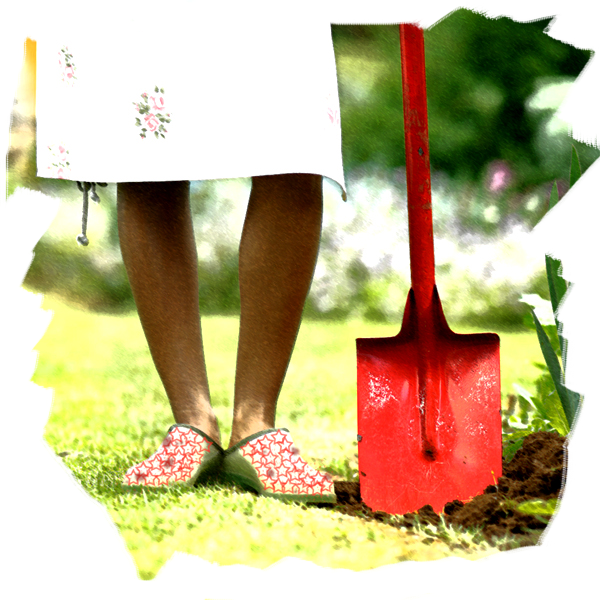 Like a favorite pair of shoes, the best plants remain for as long as you continue to care for them. But plants certainly are, hands down, the better value.